Price Match Guarantee for Car Rentals? 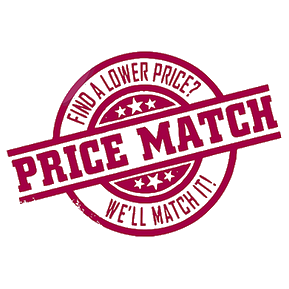 Price matching has been around for a while and a number of major retailers offer price matching in one form or other. Major players include Walmart, Target, BestBuy, Lowes and a bunch of other major retail chains. The strategy has worked wonders for BestBuy, recently bringing it back from the brink of oblivion. Every now and then, another retailer jumps into the bandwagon making the headlines. The most recent case was the announcement by Toys R Us, which sparked yet another debate on the pros and cons of price matching. Does it really work? Who does it benefit - the consumer or the retailer? Both? Price match & how it works? Although, price match sounds like a win-win for both the consumer and the retailer, very few people have the patience to make it work to their advantage. One of the biggest problems is that each retailer has its own policy around what qualifies for a price match. For example, BestBuy will match the price of a major retailer only within 25 miles of the store location. ToysRUs will price match online retailers like Amazon, but will factor in the shipping costs. The other problem is that a lot of store employees are not aware of the store's price match policy. This can lead to confusion and wasted time at the checkout counter. In the end, depending on the clerk or the store manager, you may walk out with a price match on an item that was not eligible or you may be denied a price match for an eligible item. Crazy, right? For most people, this is just too much hassle and not worth the time and effort involved, unless a big ticket item is involved. Given the planning, effort and patience involved, kudos to the ones who make it work! Before we spent some time researching, we were absolutely certain that no rental car company offers a price match. This was partly right because no one is currently doing a price match, but we were surprised to see that back in 2011, Hertz promoted a special offer called the Hertz Ultimate Challenge advertising that they will match the weekly or weekend rates of any other major rental car company, plus give you $50 off a future Hertz rental! Now that's something. Price match was applicable to base rate offered by other major car rental company and the renter was required to present a hard copy at the rental counter. The rate could not be booked in advance! Some people reported waiting in line for over 30 minutes, only to be denied price match for one reason or the other. While no rental car company currently offers a price match, a number of them advertise their Best Rate guarantee, which claims that you won't find a lower rate on any other website. Unlike a price match in which they would undercut a competitor's offer, the Best Rate guarantee simply means that the base rate on their website won't be more than any other website. Since the guarantee excludes Priceline, Hotwire and discounted rates (using coupons, contracted rates, etc) in general, this guarantee is totally redundant.